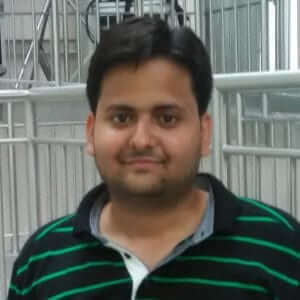 Devavrata Sharma, an Android specialist at TechJini and one of the lead members of Google Developer Agency team will be giving a tech talk at CodeUp live. The event was hosted by PayU’s having webinar session ideal for folks who want to start with Android. TechJini specializes in next-gen technologies which include Mobile, Cloud, Internet-of-Things and Big Data services. Leveraging the rapid adoption of mobile, the company has gained considerable traction to become one of the most recognized developers with millions of touch-points daily over both their enterprise and consumer-oriented applications. Their mobile apps, in particular, have routinely featured in the top 100 across all the major app stores and have garnered several million downloads to date. Android powers over 80 percent of the world’s smartphones, and represents an incredible opportunity for developers everywhere. The next billion people coming online will interact with the internet for the very first time on a mobile device. Building for Android gives you the best opportunity to reach these users and make an impact — both in your community and on the world. When there is so much information and you are a first-time Android developer, it’s easy to get confused about where to start. To make it easy for you, we bring you this webinar where you’ll learn where & how to start with Android Development & basics of it from the experts.